If you do not have the essential qualification as listed on the person specification, if shortlisted, you would be required to complete a simple literacy and numeracy test to ensure you are suitable for the Healthcare Assistant role. 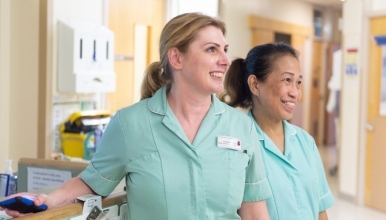 We are seeking to recruit a Healthcare Assistant who is interested in joining the Endoscopy unit at The Princess Royal Hospital Hospital and who is keen to provide a high quality service to Endoscopy patients. We have one full time vacancy available. The postholder will need to flexible as cross site working may be required. The Endoscopy unit is presently open Monday to Saturday between 8am and 10pm - it is an extremely busy unit with all three procedure rooms running to full capacity. The postholder will support patients who attend for Endoscopic procedures and following an in house training and development programme, will assist registered nurses with the admission and discharge of patients; the monitoring of these patients and supporting the patients to receive a good experience during their visit. The postholder will also be responsible for the manual cleaning and automated decontamination and maintenance of flexible endoscopes using Automated Endoscopic washers and drying cabinets. Excellent verbal and written communication skills and the ability to work well within a team are essential. The Endoscopy team are a very cohesive team with good camaraderie and team support. Please note this Vacancy may close early due to high demand.